Not even a single child would love to eat a piece of fruit or vegetable salad as an alternative for French fries or pizzas. The major reason is the complex society we live! Colorful and mouth-watering junk foods are just everywhere! Healthy foods are just replaced by the junk foods. They are just nothing but high salted, high carb and high calories foods, yet very delicious on the taste buds. Junk foods are more preferred by the kids for one reason, they are tasty. Besides, they are very comfortable to eat. Sit with a can of cola or any bottled beverage with a bowl of French fires or handful of burgers make the kids very comfortable! Fast foods and vending machines made the lives of child easier and tastier! Lifestyle changes are the major cause of rapid growth of eating unhealthy choice of foods! Needless to say, how much harm does eating junk foods cause your children? The young and buds are often damaged internally as well externally owing to excessive salt and sugar! 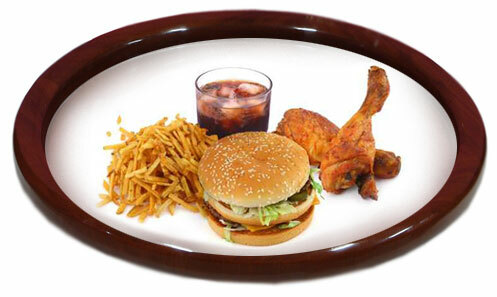 For instance, high calorie and salty foods lead to obesity, high blood pressure, stomach cancer, at a very early age. Besides, it also leads to an early puberty. The children would lose the enjoyment of being a child! Children may not know the effects of becoming junk food junkies in the future! Yet, parents knew it. Take the power of technology and educate your child about the effects of eating junk foods. Many kids look like an inflated balloon even before they turn 10 years! There are many kids who battled the overweight issues for years. Besides, tumor cells ruined the lives of students as well the entire family! Teach your child, rather, let your child learn eating is for health, for nourishment, for goodness of life and not merely for tickling palates! Eating the junk foods occasionally doesn’t harm you as long as you include healthy choices in the diet. One of the most effective solution to let you child not eat or reduce junk food is changing your entire family towards healthy eating. Previous PostHelp your Child Prepare for Board ExamsNext PostAre we nurturing narcissism among children?